Four years ago this month, I knit myself a February Lady Sweater. I honestly don't wear it much, it's kinda big, and in the end I didn't really love the sleeves. So when my knitting buddies starting whispering February Lady KAL, it seemed like a good idea to me. 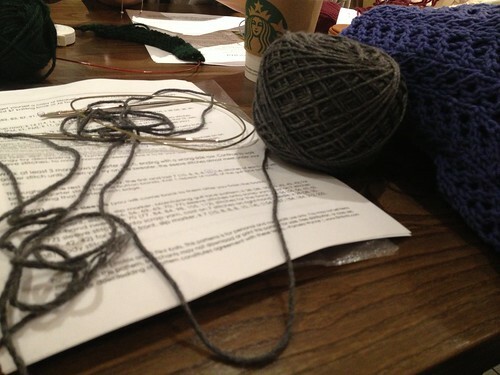 I haven't knit a sweater in so long now, it seemed like it would be fun. 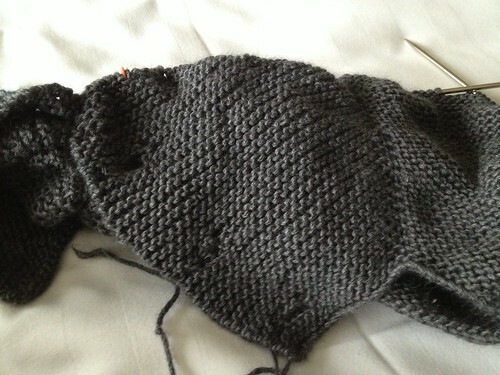 This time I am knitting mine out of Cascade Venezia Worsted. I used this yarn for a big Ishbel shawl a few years ago and really love it. Seemed like a good choice for a sweater. I knit my original Feb Lady Sweater in 8 days. That's highly unlikely to happen with this one, but I think it will only take me a week or two to finish it up. I can't wait to wear it. I plan to make the sleeves smaller and longer this time.